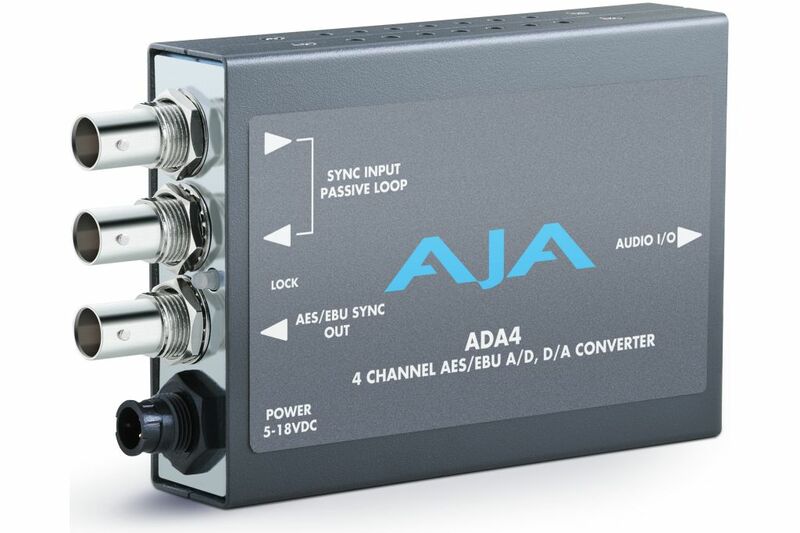 AJA's 4-Channel Bi-Directional Audio A/D & D/A Converter allows you to convert between balanced analog and AES/EBU digital audio. It can be configured as a 4-channel A/D converter, 4-channel D/A converter, 2-channel A/D and 2-channel D/A converter, or an AES sychronizer. 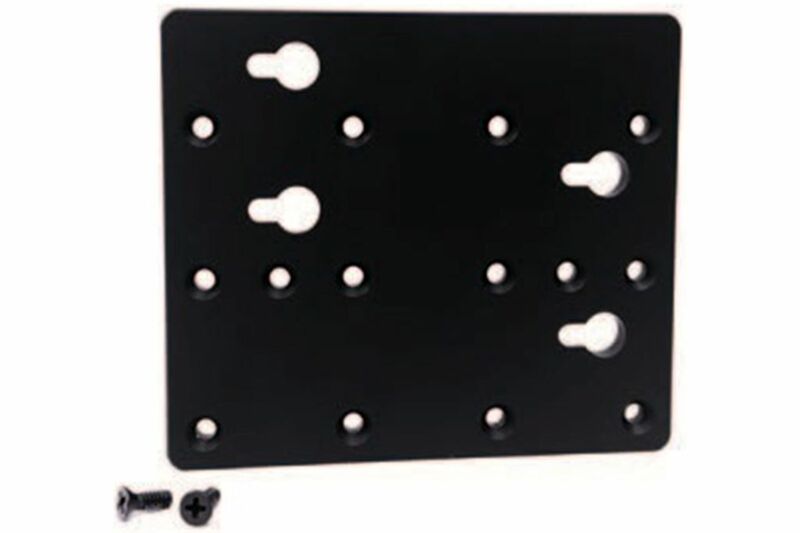 An included XLR breakout cable provides audio connections for ADA4, allowing 8 channels of AES audio input and output while keeping the overall size of the Mini-Converter compact and portable. Audio levels are configurable via DIP switch control. The ADA4 also accepts an AES11, worldclock, or video sync/color black reference input for synchronization. Reference input and synchronization are automatic. 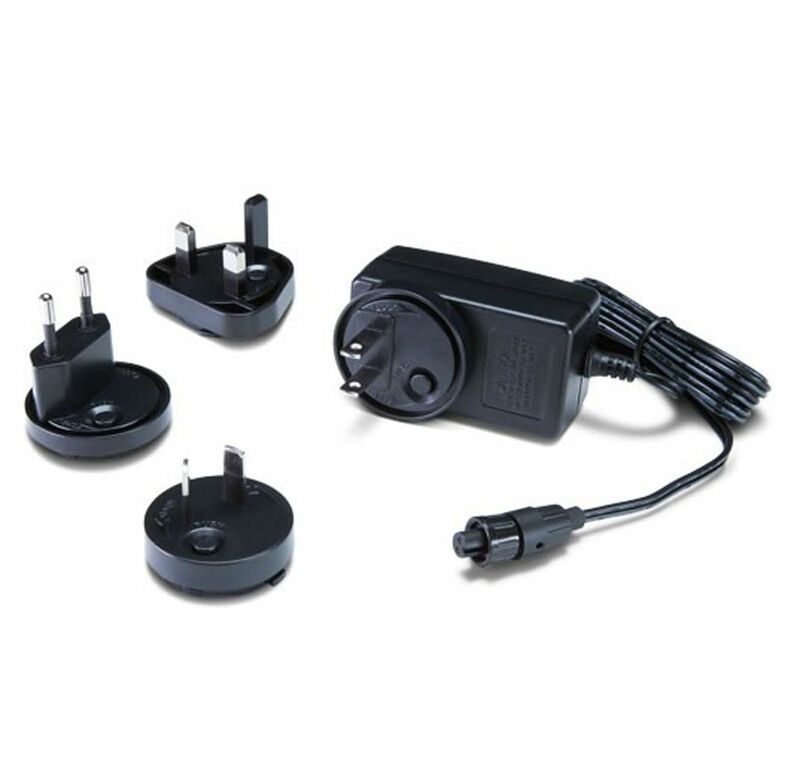 For power, the Mini-Converter comes with a universal power supply with international plug connections for use in wall sockets around the world.